In the Mr. Malt Brewing Kits you will find the extracts and malt grains in the right quantities, hops and yeast already weighed in addition to the recipe that will guide you step by step in the production of beer. To use the kits in this section you must have additional equipment to standard Fermentation Kits. This kit contains everything you need for the production of 23 litres Amber Abbey Style, supplied with proven recipes of the E + G (malt extracts + special grains – Partial Mash). 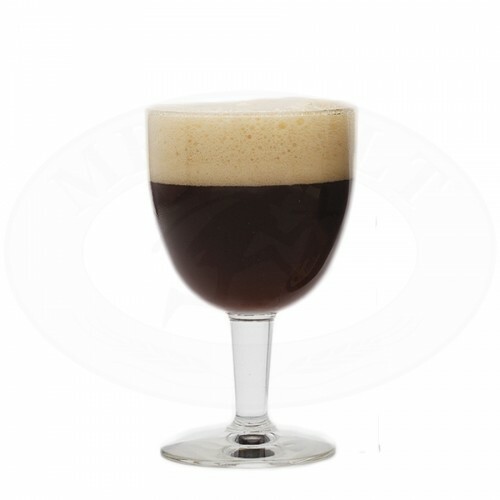 The mahogany color and the aroma of caramel, fruits and cloves invites you to contemplate the creamy head of this Abbey Ale. Ingredients: BARLEY malt extract, BARLEY malt, dextrose, hop, dried yeast. The product may contain traces of WHEAT, OAT, RYE, SPELT. Components of the kit: 9.